Why rely on a friend or untrained pet sitter to take care of your pets while you go on vacation or travel for business? Lakeside Animal Hospital can provide you and your pet with an affordable, safe and comfortable place for your cat or dog while you are away. Pick-up any time during normal business hours will be at no additional charge. There is a $12.12 fee for Sunday pick-ups. Payment will be required at time of drop-off for Sunday pick-ups and any stay over 14 nights. All other payments may be made at the time of pick-up. All clients are responsible for providing proof of vaccinations if given at another clinic. If proof is not provided at the time of drop-off, Lakeside Animal Hospital will require the vaccines to be given here. 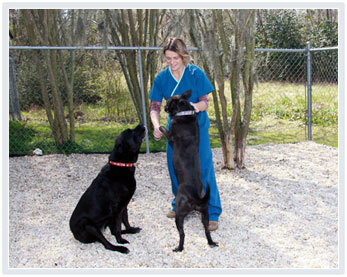 We are here to take care of your pets every day, including Sundays and holidays. Dogs are let out in our enclosed exercise area a minimum of twice daily. All pets are fed per owner's instructions. Water is available to all pets at all times. Runs and cat cages are kept clean and dry. 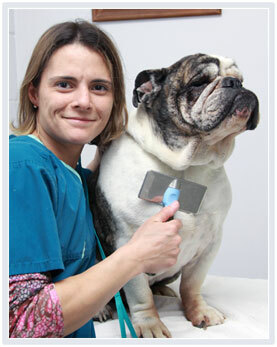 Lakeside Animal Hospital does not offer grooming as a general service. However, for our boarding guests, owners can choose to add a TLC Session, which is one-on-one attention that includes exercising (leash-walk on our grounds), brushing, and a treat at the end of each session. Owners can also add a shampoo with nail trim, ear cleaning and brushing. For our general clients, there is a grooming service offered by a separate, but neighboring business called Heartfelt Grooming.